Yoga is the most important and precious gift given by the nature to connect to your inner soul with peace. It helps in balancing the relationship between your body and mind. Many of our students at Presidium practice yoga under expert guidance and enhance their flexibility and skills to be perseverant. 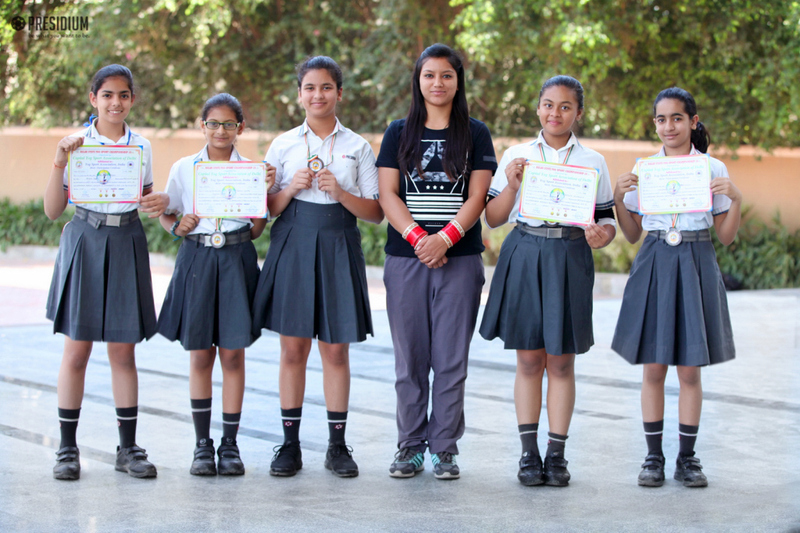 With a zeal to excel in yoga our young Presidian girls under 15 brought laurels by bagging a bronze medal in the 2nd Delhi State Yoga Championship, held at Maharaja Agrasen Institute of Management and Technology, Rohini, New Delhi. We are extremely proud of our winners and wish for each one of them to reach great heights in this field.